Creative BC and the Irish Film Board (IFB) have announce a new funding partnership that will encourage the development of motion picture projects between British Columbian and Irish motion picture production companies. This is the first international co-development fund of its kind in Western Canada with each partner contributing $75,000 toward the total $150,000 fund that opens for applications today. The original pilot program supported a BC-Irish collaboration delivering a script for a new adventure series called ‘The Gulliver Curse’. As the first co-development project to receive program funding from Creative BC through the Project Development Fund, this successful pilot became the catalyst for today’s new agency-to-agency agreement. at least 50% of the $150,000 fund will be dedicated to projects with a female writer or director attached to the project. 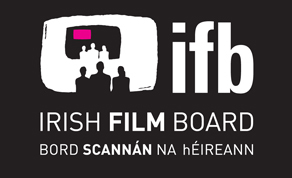 More information about the fund, including guidelines and detailed application criteria, will be published on both creativebc.com and irishfilmboard.ie.